Parents play a key role in the education and learning of children. The time that the caregivers share with kids will greatly affect their self-esteem and social skills. Therefore, the moment of this mother-son dance is absolutely precious and tender. 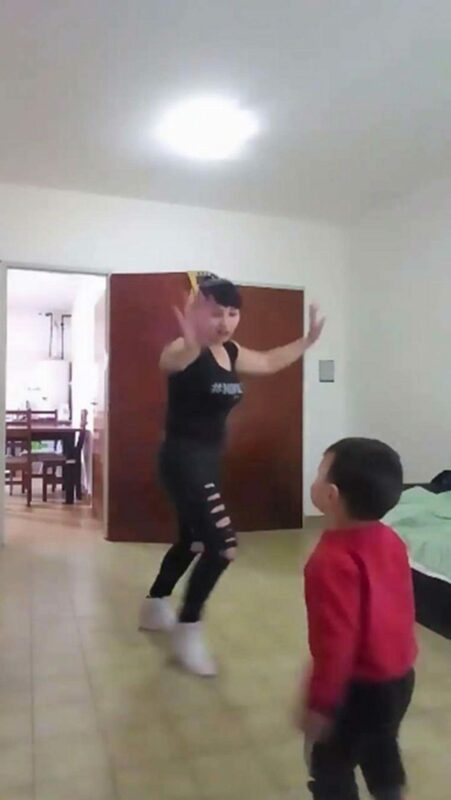 In the recording, we can see how this young mother enjoys her free time with her son, dancing a version of “La Vaca Lola”. You can see that a mother is dancing energetically, holding the small one in her arms. The boy seems very happy throughout the video. Today, many parents don’t have enough time to have fun with children, usually due to work activities. However, we should spend quality time with the younger ones, even if it’s just for a few minutes. They will thank you in the future! 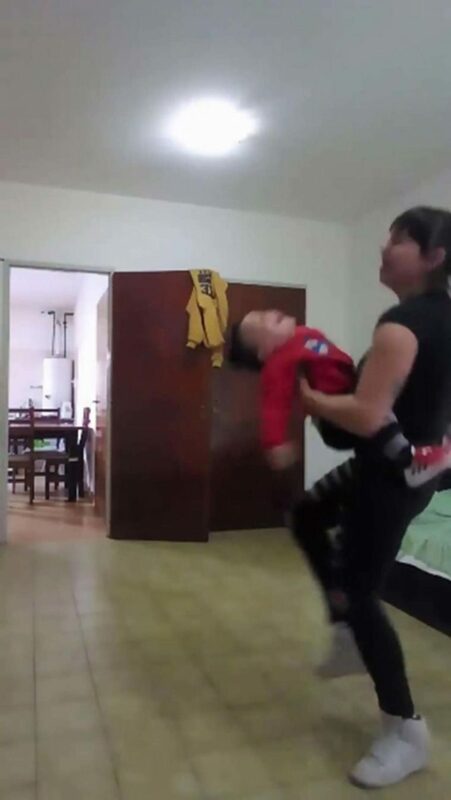 A clear example of this quality time is the young mother of the video, having fun with her son. It’s a lesson that maybe we should all learn. 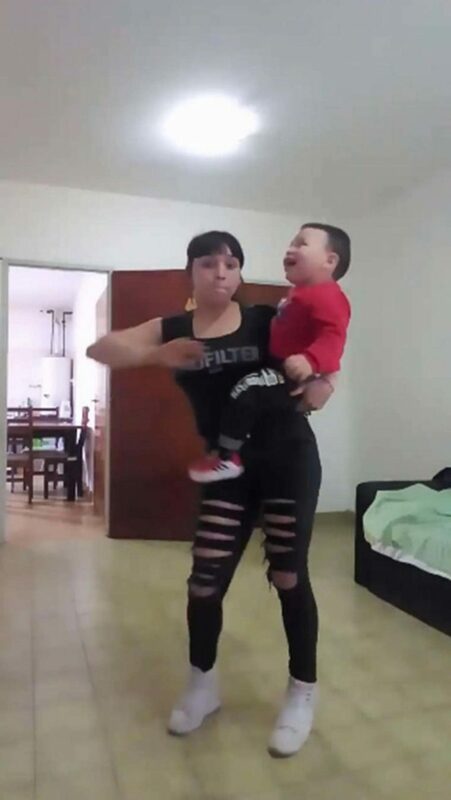 In the first few seconds of the video, we can see how the mother and child are surprised to hear the music, and the woman decides to improvise and start dancing with her adorable son. The child laughs all the time with his mother’s movements. Then the little one begins to imitate her and continues to dance to the rhythm of the music Young mothers or teenagers are not seen in the best way. Generally, this is because of her immaturity to take on the role of motherhood. However, this young woman does not fit into this stereotype. She is very happy with her little boy! 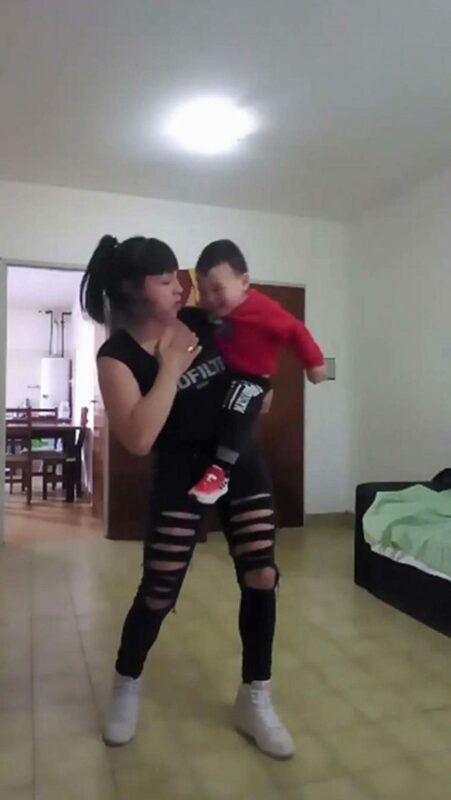 The young and extroverted mother, named Ayelen Meza, is from Argentina and she herself posted the video on her Facebook profile less than a month ago, quickly becoming viral. Watch the funny scene below. The video had more than 25 thousand reactions, and was shared more than 200 thousand times. Lots of social networking users were impressed by the fun choreography. Share this if you were too!